Politicians have put pen to paper to seal a Memorandum of Agreement to form a new coalition government consisting of 36 Members of Parliament. 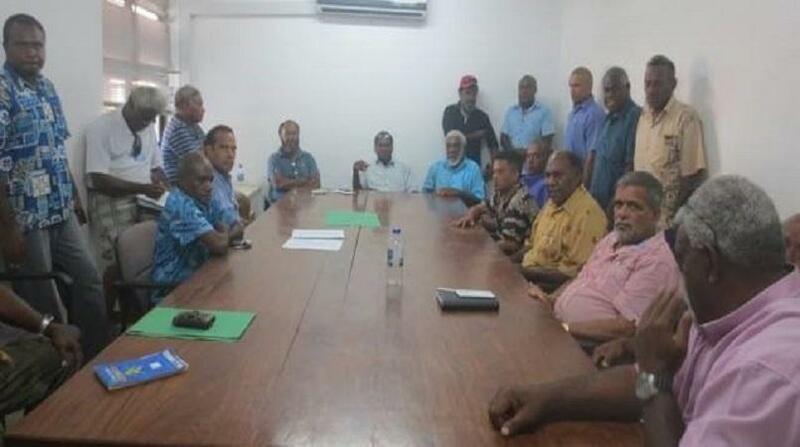 The parties and political groupings in the new makeup are the Vanua’aku Pati (VP), the Graon Mo Jastis Pati (GJP), the National United Party (NUP), the Rassemblement Des Mouvements Pour Le Changement and Partners (RMC), the Vanuatu Green Confederation (VGC), the Vanuatu National Development Party (VNDP), the Nagriamel Movement, the Melanesian Progressive Party (MPP), the Fren Melanesian Party (FMP), the Union Of Moderate Parties (UMP) and the Leaders Group. The signing now puts to rest doubts looming from Tuesday’s failed attempt to form a government. The parties and political groupings that signed the MOA are united by a common understanding and consensus between them that there is an urgent and paramount need for political reform to reduce instability in the government - thereby reducing corruption, ensuring service delivery to the population and restoring confidence, stability and growth in the country. The signing of the MOA is the first step. The second step and the most challenging one is for the parties and groupings to decide on arrangements between them. They will include the allocation of the position of Prime Minister, Speaker and Ministerial Portfolios, that can ensure that they remain united in an effective Government that is able to achieve political reform and enhance economic development and service delivery throughout the four year term of Parliament. The new Parliament will sit on Thursday, February 11.